Käännös Antti Leppänen 안띠 렙배넨 옮김. 헬싱키에서 아셈정상회담을 하는 동안 회담에 참가하는 나라들의 사랑시(詩)를 모아서 헬싱키 어느 광장에서 전시회를 열린다고 하니 나한테 한국의 사랑詩를 찾아 번역해 달라고 했다. 한국 詩를 잘 모르는 것이겠지만 인테넷이 있어서 걱정할 것 없다. 용혜원의 을 "101가지 사랑시"에서 찾아냈다. 핀란드말로 옮긴 것을 보니까 그렇게 욕볼 일을 안 했다 싶네. 누가 딴 말 해 보게. "우리 만났을 때"를 Tavatessamme로 고쳤다. Kun tapasimme보다 좀 詩적인 감이 좋을 것 같아서. Wednesday, July 5, was one busy, dizzy day. It began early (6:45am) with lots of radio. Besides BBC World Service, there was a full house of Celts - Wales, Scotland and Northern Ireland - plus local radio in Essex and Warwick. I'd been booked for BBC Radio 4's flagship Today too, but was first postponed and then stood down. They always do that to me. Still, this was all done by phone from home; hence no great inconvenience, just a tad annoying. As for me, appearing in media is always a good opportunity to hone the skill to present one's expertise in a clear and condensed manner, and the vanity factor is not irrelevant either... Except that I do not consider myself a specialist on DPRK missiles, which I told the producer when he contacted me, but as the vanity factor is not irrelevant, we agreed that we can work out something after I told him how I might be of use for their program. As the commuter train was late, my biggest concern that morning was not the interview but that I'd miss the program; after getting assured that I wouldn't be late, it was that all my sweat (it was 30 degrees that morning) would show on air. It did not. 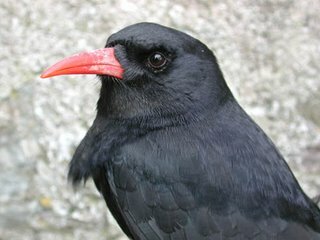 Just a note of the most ingenious and silliest of blogs, ssahn.com kept by Hongik professor Ahn Sang-soo, which contains only pictures of people covering their other eye. One of the latest additions is the reporter Cho Gab-je. the musician An Chi-hwan, Hongik students Chang Hye-jin and Cho A-ra, restaurateur Mitsuyoshi Kawanishi, the poet Kim Chi-ha, keepers of Yogi Punsik Bae Tae-jin and Lee Hyun-ja, and so on. Newsis (?) 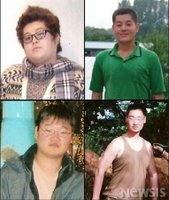 via Daum brings us the piece of human interest news that Mr Yu and Mr Hwan lost respectively 40 kg and 47 kg in weight during their military service. For example Mr Yu 's weight had increased to 120 kilos during his studies due to frequent occasions of drinking and late meals. 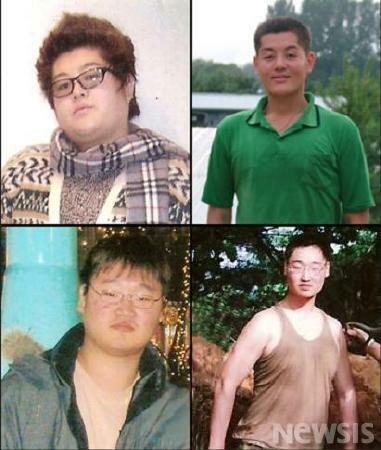 What draws my attention to this issue is that in my country, which has a similar mandatory military service as the Republic of Korea, the most common change in bodily weight is exactly the opposite to what happened to these two young men. When I've told of this to Koreans, some have commented that the same often happens in Korea as well due to increased muscle mass in excercise. Over here, it's most often the increased bodily fat: for example I must have gained 5 kilos during the first two months back then in the 1980s. One learns to be lazy. Seems that since I linked a Kim Kwang-seok performance from Youtube, several new pieces of him have been added: see search for Kim "Kwang Seok". Naûi norae ("my song") from a concert hosted by pianist No Yeong-sim. old note: "let's support Kim Dae-jung and crush communism"
I found this following gem from my research notes. It's a text from a paper slip that a customer had left in "Yumin's mother's" clothing repair shop for her reading. 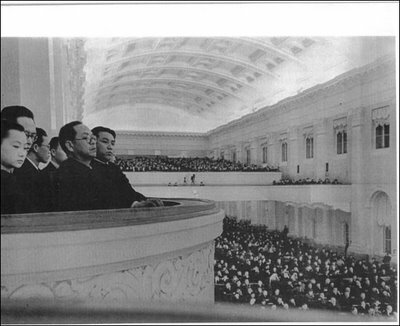 Who says Kim Dae-jung's government wasn't supported by the supporters of Natural Security Law and opponents of communism? Take for example this case: cops had been called to prevent a boisterous and drunk company to take a motor boat out to the sea. The cops took away a part of the motor so that the boat couldn't be driven. The men nevertheless found a rowing boat somewhere and took out with the consequence that one of them drowned. 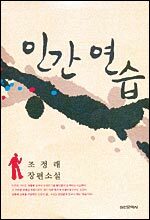 차암 대단한 민족이다, 우리가. The presentations of the 2006 annual conference of Korean Society for Cultural Anthropology are available at the society homepage in pdf. Very good service, I'd say, but something that I've become used to. The conference theme was 현대 한국사회의 일생의례와 세시의례 - 변화와 지속 (Life Stage Rituals and Seasonal Rites in Contemporary Korea: Change and Continuity). Kim Kwang-seok performs 잊어야 한다는 마음으로 in what seems to be a TV program. the new Jo Jung-rae novel, and "defensive nationalism"
It was reported two and a half years ago that a new novel about the collapse of communism will be coming from Jo Jung-rae (Cho Chông-nae). Parts of it had been published in literary magazines already then, and now it comes out as In'gan yônsûp ("Practice of being human" or "human practice"; practice here in the meaning of learning something); Ohmynews has an interview. As long as Jo doesn't try to compare the Jewish holocaust and the Japanese colonial era in Korea or tout the "national question" too much he can be an insightful novelist, and I enjoyed reading especially the 10-volume Han'gang (Han River) for its depictions of ordinary as well as extraordinary people's lives in the 1960s and 1970s' Korea. So, let's pay attention to Jo's remarks about nationalism in the interview. He defends the kind of nationalism that he sees is going to be necessary for the unification from the critique of nationalism he sees emanating from "the big powers" and from those who've studied abroad and brought those theories back home. He calls that "defensive nationalism" (pangôjôk minjokchuûi). It's all fine, and Koreans are damn sure going to need some kind of good ideological mental power to cope with the unification however it's going to happen. But as long as he does not comment (and condemn, I'd say) the kind of race-centered and racist nationalism that DPRK has been spewing out from time to time and pronounce a clear distance from it, the nationalism of Jo Jung-rae that he maintains will be necessary for unification will remain hollow and at worst harmful. Jo tells that his younger friend's father was the model for the novel character Pak Tong-gôn, who dies because of learning about conditions in North Korea. And the magazine journalist who tells Pak Tong-gôn the truth about the North is modelled on Jo himself. "My friend's father said that he'll believe the word of the writer of Taebaek Sanmaek and asked to meet me, so I went and told without adding or leaving out anything about the conditions in North Korea. Since I had been doing research in Manchuria for Arirang in the early 1990s, I had been able to observe conditions in the North over the Yalu river. North Korea was already then starving. I told of that, and he died from that shock after 5-6 months." Chosun Ilbo's English-language report on the recent decision of the Korea Commission for the Press about government subsidies to newspaper companies surely left the impression that Kyunghyang Sinmun is a "pro-government newspaper." As Kyunghyang does not have anything in English, many readers of the Chosun piece are not in a position to check Kyunghyang's editorial line, but let me assure that it is not "pro-government" in any sense despite of some convergences between gov't policies and its editorial positions, as it remarks in its editorial in which it protests Chosun's distortions. It's a pity that Kyunghyang's editorials are not available in English. If I knew English better and had unlimited time in my hands I might do it every now and then. Here's one from today: "Does the government really have a policy for missiles? "; please bear with my English. It is impossible not to be disappointed when looking at the government measures to North Korean missile launches. Can there be more irresponsible and indolent responses? The government knew that North Korea had declared the missile landing area off-limits by radio to its fishing vessels two days before the launch. Despite that our government did not take any measures concerning our ships or airplanes. Even though the government could not be assured about the launch, government's basic responsibility is to take necessary security measures for the worst case. At the time of the missile launch five our airplanes were flying in the vicinity of the missile landing area. Only the thought of that makes one shudder. Our government ordered the Kamchatka air route not to be used one whole day after the missile launch on the 6th of July. It is such a big contrast to Japan, which prohibited the use of the landing area for its airplanes and fishing vessels five hours after the launch. The problem is that the government is not improving its performance, but its lack of strategy becomes all the more evident. The government was at first only 'deliberating' about the ministerial talks on July 11 in Busan, and only yesterday made the decision to open the talks. It's the same with North Korea's proposal of military talks made two days before the launch. Government kept the proposal secret and informed of its refusal on the 6th of July. We of course understand the awkward position that the government is in. Nevertheless, the more difficult the situation, the clearer the goals and methods and the response must be in order to get the citizens' support. The government must not make explanations like "we have analyzed the situation in detail from the beginning and prepared our response" (Seo Ju-seok, Blue House national security secretary) but immediately analyse the goods and bads of its measures and clearly present its policies. 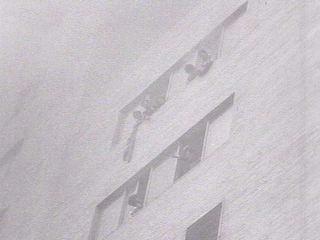 One photograph that draws attention is the one of a hotel after a fire. 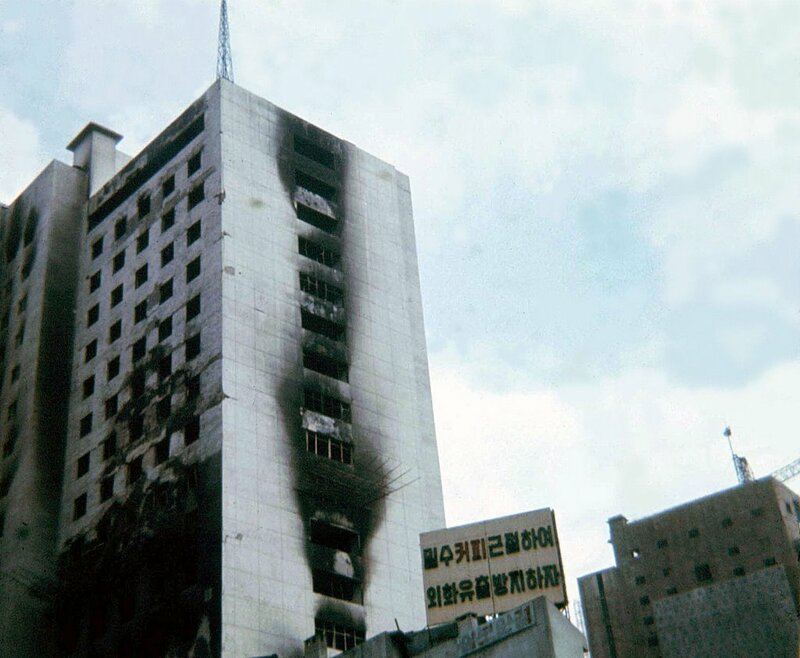 It is Taeyôn'gak Hotel, which caught fire in the morning of December 25, 1971 when propan gas exploded in the 1st floor. Number of dead was 167 and wounded 64. All the firefighting vehicles in Seoul were called and also USFK sent help, but ladders couldn't reach higher than to the 7th floor in the 21-floor hotel. Taeyôn'gak Hotel after fire; the text in the billboard in front of the hotel says "Let's eradicate smuggled coffee and prevent the outflow of foreign currency"
There is an old newsreel available in the MBC "news time machine" link above; the link given in the article doesn't seem to work, but this link to the wmv file should be ok. There is also a newsreel in the National Image Archive (국가기록영상관) - NOTE: does not work with Firefox. Jung Jae-ho, the illustrator, painter, and also molder of urban Korean cityscapes and spaces who blogs at 이곳에서 얼마나 오랫동안, has his works on display in two exhibitions at the moment: in "In between Past and Present" (2006.6.30~7.23) in the Geumnam Street gallery (see map) of the Gwangju Art Museum, and in "Propose 7" (2006.6.29~7,16) in Kumho Museum of Art. This time I won't use any of Kim Jeong-ho's paintings but a photograph that he took of the annex gallery of the Gwangju Art Museum in Geumnamno, located harmoniously alongside a travel bureau, gym, coffee house (tabang), a makkôlli drinking place, a convenience store, and a mudfish stew (ch'uôt'ang) restaurant. People's art, beginning from the location and the outward presentation of the gallery in a style that is truly capitalistic realism of contemporary Korea, or as Kim Jeong-ho says in his blog entry, a truly alternative space compared to the self-proclaimed alternative spaces in Seoul. There is this Korean saying which have been repeated on these pages already several times, that "not even a dog carries merchant's money" (장삿돈 개도 안 물어 간다), which I'm reminded of when reading the "news", or better, feel-good story or infomercial that Mrs Kim Sun-jin, the owner of several restaurant franchise chains, is having a lecture hall in Sookmyung University named after her. Chosun Ilbo tells that Mrs Kim Sun-jin, who owns franchise chains such as Nolbu Possam, Nolbu Pudaetchigae and Nolbujip hangarigalbi with combined 560 franchise shops in the country, started by opening a 5-pyeong (17 sq.m) restaurant 19 years ago with no more education than grammar school, which Chosun sees necessary to mention. But that only makes a nice contrast to her getting a lecture room named after her for donating 100 million W (85 000€) to Sookmyung University; a very good and also a very Korean way to turn merchant's money (장삿돈) into another value. 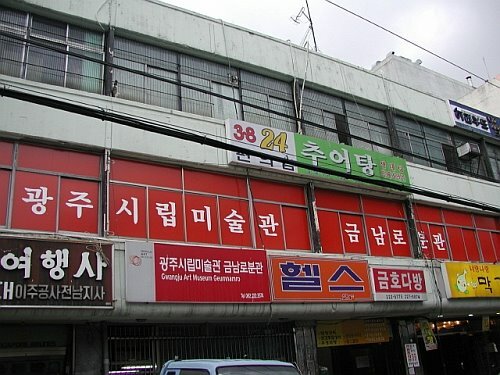 Despite of reports that the oversupply and bad and unprepared managed of franchise shops has been one reason to the growth of low-income self-employment (Donga Ilbo, Nov 30, 2004; the whole series of reports on the dire conditions of small businesses in Donga), it appears that Mrs Kim's Nolbu chain has been adequately managed - if the success of the proprietor is to be judged. It is nevertheless interesting to think of the irony that much of Nolbu Possam's success is likely due to the misfortune of those who lost their livelihood in other areas and chose more or less involuntary to try their hands in restaurant keeping, for which franchises offer an easier option.